Cypress Insurance is a Trusted Choice independent agency. We combine reputable companies and years of experience to offer you an insurance plan with the coverage options you want at a price you can afford. From general liability to workers compensation and business auto protection to professional liability and umbrella coverage, Cypress Insurance Group has assisted many local businesses, including restaurants, offices, churches and construction companies. We have a professional team that would be happy to discuss your business plan and how we can be a part of it. We specialize in churches and religious institutions, charities and non-profit organizations. We know each one is different, but all have some of the same insurance coverage concerns. What about the school? Is this bus covered? Are volunteers covered on my workers compensation policy? Call us with your questions. We want to help! At Cypress Insurance Group, we take pride in providing outstanding insurance products at affordable rates. Whether you’re looking for personal insurance coverage for your home, condo, auto or boat, we have options! Worried about a flood? A hurricane? What is a calendar year deductible? Is water damage covered? We are happy to take the time to explain your insurance questions and help you find the coverage you want. Because we live in your community, we understand the risks you face on a personal level – because we face them too. We are a Trusted Choice Agency, a neighbor, and a friend. We will take the time to analyze your situation and find the best insurance company providing the most comprehensive coverage at the most affordable cost. We provide the kind of customer care you can only find with a local independent agent. Find out for yourself what so many others already have. When you entrust Cypress Insurance Group to protect you and your family, you’re not just signing up for insurance, rather you’re joining a family. Allow one of our trusted insurance professionals to tailor the protection that is right for you. Call us today for free Fort Lauderdale insurance quote! 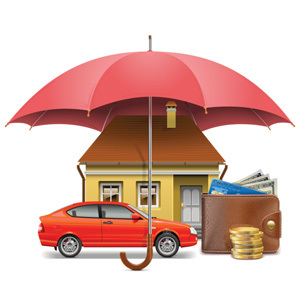 Why do we think everyone needs an Umbrella Insurance Policy aka Excess Liability Insurance? Check out our latest blog to find out. Cypress Insurance Group is proud to be included as one of Dave Ramsey’s Endorsed Local Providers or ELP as he likes to call us. Dave Ramsey’s 7 Baby Steps are a proven process for saving money, getting out of debt and building wealth. Dave is a big supporter of Independent Insurance Agents because of the options we can provide. The 5 insurance policies he recommends include Homeowner’s and Auto insurance. That is where we come in. If you are not familiar with his name, read more here. What Baby Step are you on?